From urban thunderstorms near home to daily downpours in the jungles of Central America, our versatile Parque Rain Shell offers up clean style and essential precip protection any time the skies open up. This fully waterproof and breathable jacket offers integrated mechanical stretch to improve range of motion. Zippered underarm vents help regulate body temperature when you’re on the move, and multiple front hand pockets keep your small essentials dry and secure. Velcro cuff tabs and a single-pull cord adjustment in the hood help seal out the elements. A 2.5L jacket like the Parque Rain Shell consists of a face fabric bonded to a waterproof breathable membrane, with a protective water repellant finish applied to the face fabric. This is a great option if you’re looking for packability and exceptional water resistance. 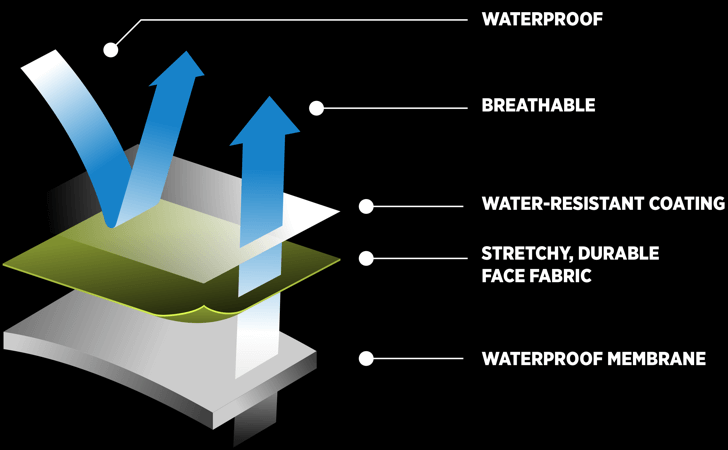 Its 20K/20K rating means it withstands 20,000mm of water per square inch from the outside, and can release 20,000g of water vapor per square meter from the inside—a perfect meld of water resistance and breathability.